The DR MCB-45 4-String Bass Guitar Strings is a set of 4-string bass guitar strings featuring a gauge of .045-.105, with a Hi-Def Neon Multi-Colour look, and roundwound nickel-plated steel construction. 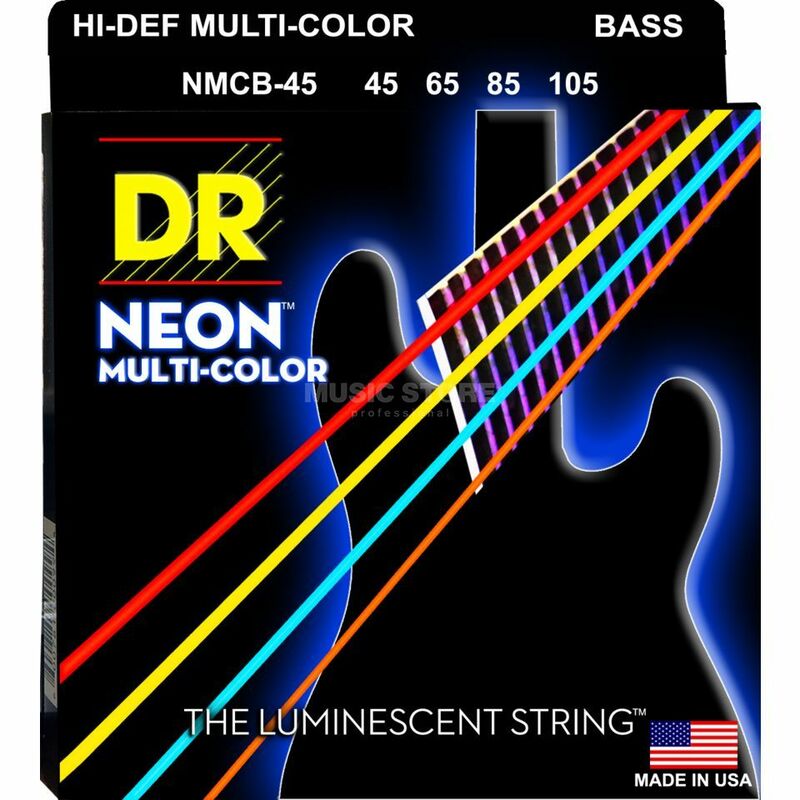 DR NEONs are super bright colour coated strings that sound clear, bright and musical. Super bright in daylight and under stage lighting, DR NEON is 100% black light reactive and glow strongly under UV lighting. NEONs are the first coated string to make no apologies. Neons last as long as a coated string should (three to four times as long as uncoated strings).